There are four public parks within the development. 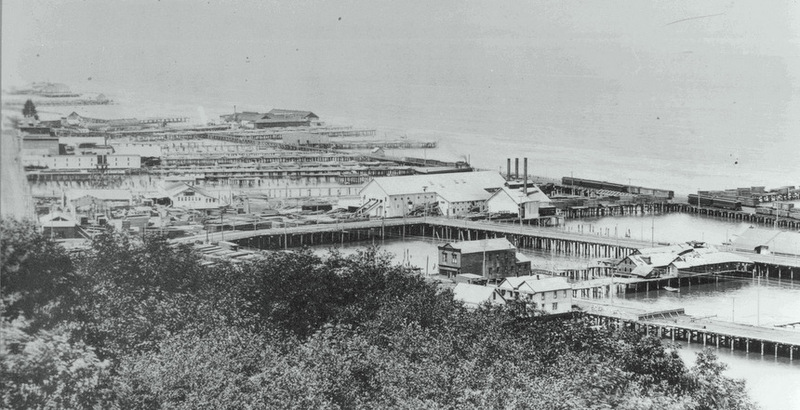 Today, the trolley runs along the waterfront past the development in the summer. 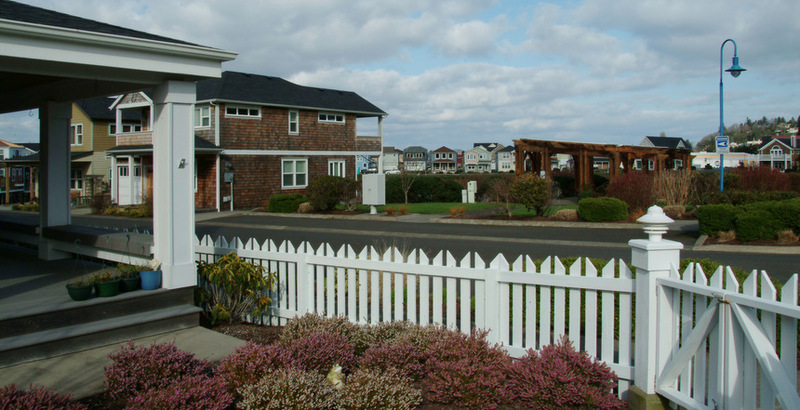 Completed in 2006, Mill Pond Village was built on old lumber mill site. Traditional housing types create a village-like neighborhood. Historically, this mill was the hub of the local lumber industry. The mill operated from 1870 until it closed in 1989. 86-lot project is mix of housing with four public parks. 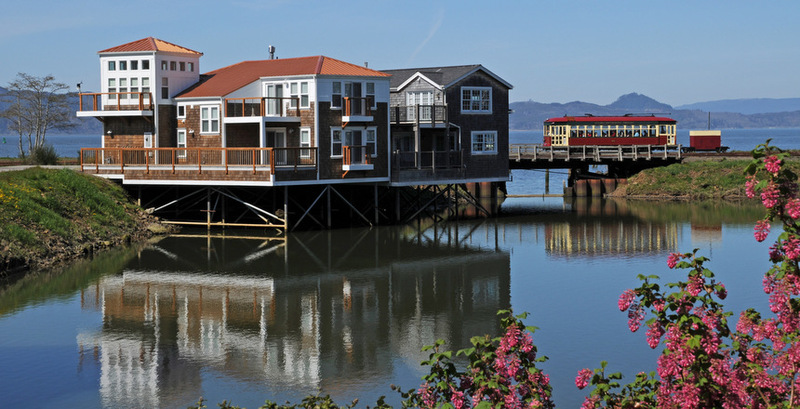 Venerable took a major step when undertaking this mixed-use residential project in Astoria. The project surrounds a 3.7-acre former log pond and fills the historic 16-acre lumber mill site. Venerable combined a successful “Brownfield site” cleanup of the mill contamination, a great design effort, and dedication of the development team including the state and city. The project represents a critical link between the city’s historic downtown, the hillside neighborhoods above the river, and new growth along the river. 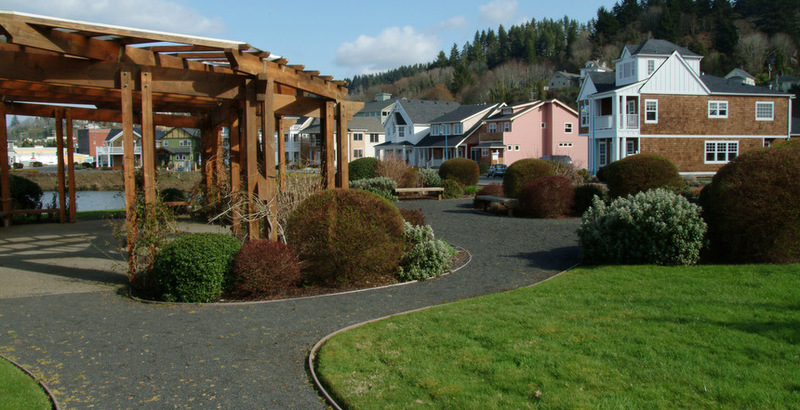 Mill Pond Village sits on what for over 100 years was the hub for the local lumber industry. The mill operated from 1870 until it closed in 1989. 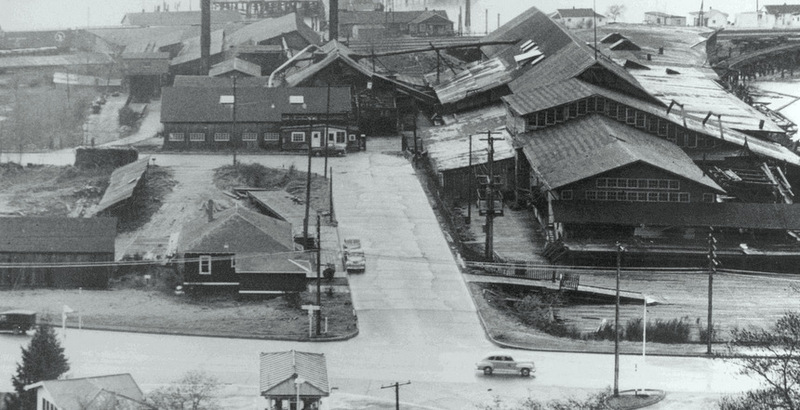 The mill’s shutdown left the city with major environmental and economic challenges including a loss of 217 jobs. The site was heavily contaminated with various toxic chemicals. Environmental assessments began in 1991 and uncovered extensive groundwater and soil contamination. By 1993, the site was stripped and everything salvageable was sold to pay property liens, leaving the city with a major eyesore. 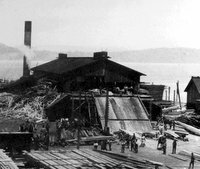 In 1994, the site was declared a Brownfield and became eligible for federal assistance. State contractors removed 6,000 cubic yards of contaminated soil and sediment. It took the city and state four years and $1.4 million to get the site ready for development including cleaning, treating and discharging 57,000 gallons of clean water back into the pond. In 1999, Venerable purchased the property from the city of Astoria and then met with city leaders and residents to incorporate the project into the Astoria Gateway Master Plan. The master plan mandated sustainability and environmental protection. The project team established restrictions on design and building of homes including CC&Rs, Green Development Guidelines and Architectural Guidelines designed to ensure a quality project and to establish procedures to meet “green building” practices. Venerable tackled other environmental issues, including narrow streets designed to reduce storm water runoff and then redirect it into the pond—providing additional aeration for the pond and an effective deposit place for excess water. Underwater vegetative shelves were built around the pond’s shoreline and act as a natural filtration system to keep the pond clean and fish friendly. Indigenous shrubs and grasses were planted to attract birds and other wildlife to increase the enjoyment of the area for visitors and residents alike. The Architectural Guidelines set minimum standards for home designs and prescribe construction and landscape materials and their application. They specify that house plans include front porches, period lighting, fences and alley-access garages. 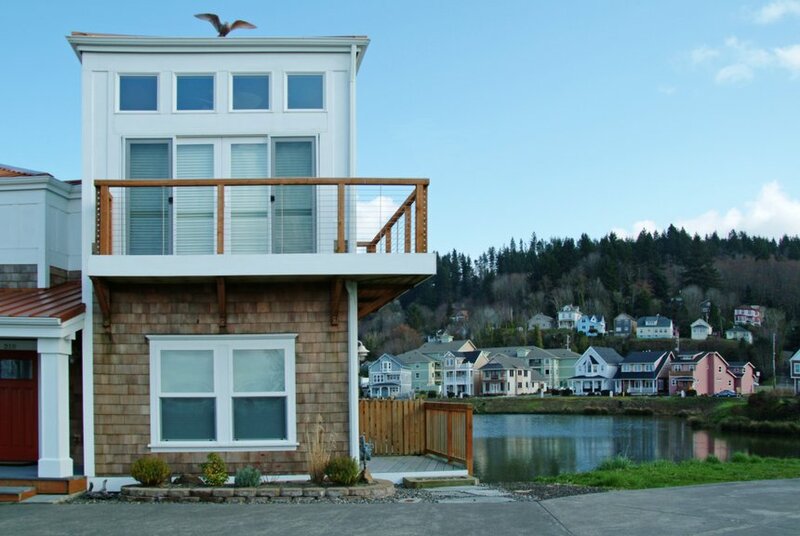 The 86-lot project has a mix of high-density housing surrounded by four public parks with viewing areas that wrap the pond and overlook the river, a nearby bridge and surrounding hills. Depending on the size and location of the lot, houses are between 1 and 3 stories so views are not blocked. The four commercial lots were designed for larger multi-family buildings and for pedestrian-friendly commercial businesses. The diversity of housing allows for a range of incomes, ages and family structures. 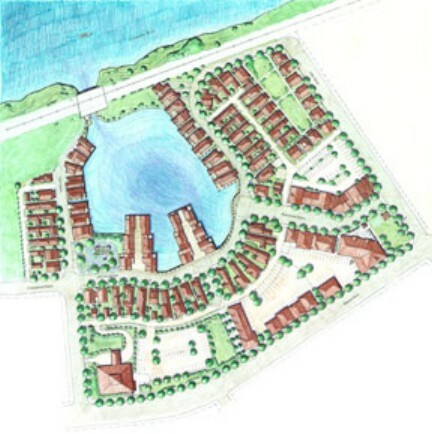 Housing types create the seaside village-like, pedestrian-oriented neighborhood. There’s also a bike path and river walk with benches to offer easy access to the views. A trolley that runs along the waterfront past the development and into town every day during the summer adds to the sense of community. The development was completed in 2006 and Venerable turned over control to the homeowners association. 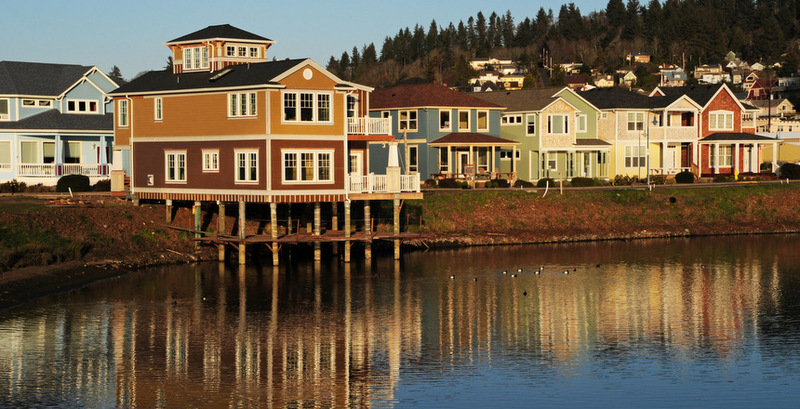 The community benefits provided by Mill Pond Village are quality homes along the river, improved view along the main drive, and turned a “Brownfield” into a source of civic pride.